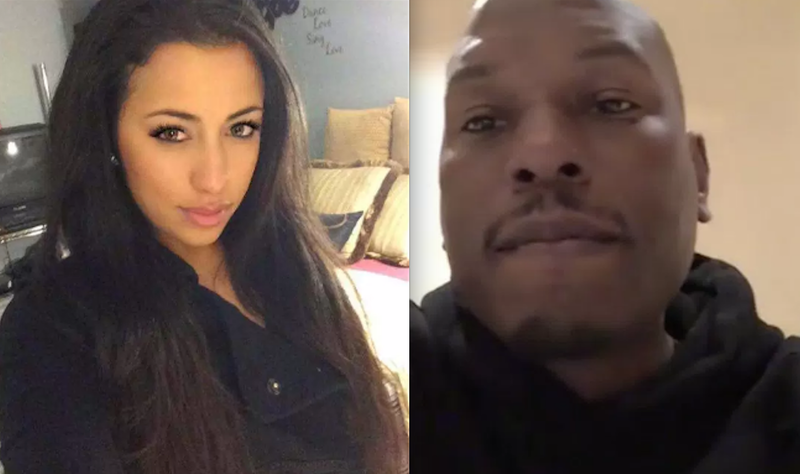 Last month R&B singer Tyrese announced he'd secretly gotten married at home [click here if you missed that]. In a recent interview with People Magazine Tyrese admits the reason he revealed his marriage to Samantha Lee months after doing the deed is because his wife was getting fed up with the level of secrecy surrounding their union and announced a huge wedding is set for July 4, 2017. ~ Is he going to update us on how he tried to start a small chain of "Benihana" type restaurants near Fontana and Encino but he allegedly failed the drug test the insurance company required all the investors to get three times? They had to move on without him and it might be the reasons for the erratic behavior. Why is he telling us? Is not like we going. Lol @ tyresa. Only reason s/he had the postpone the "real" wedding is cuz that Fast and Furious check just cleared. Poser. I remember reading somewhere recently where his wife said that when she first met him, she didn't trust him. That should have been a red flag to her right then and there. That was more than likely her gut instincts telling her to leave him alone. Yet, she chooses to ignore it and marry him anyway. SMH. Then to top it all off, Tyrese chose to keep their union a "secret" for some reason? Why? What do you have to hide? Something tells me this marriage is not going to last very long. It's starting off pretty rocky, and they haven't even been married for a year yet. SMH. he had her on THE VIEW with him. she was seated in the audience & when the cameras panned over to her she seemed uncomfortable being a show pony.